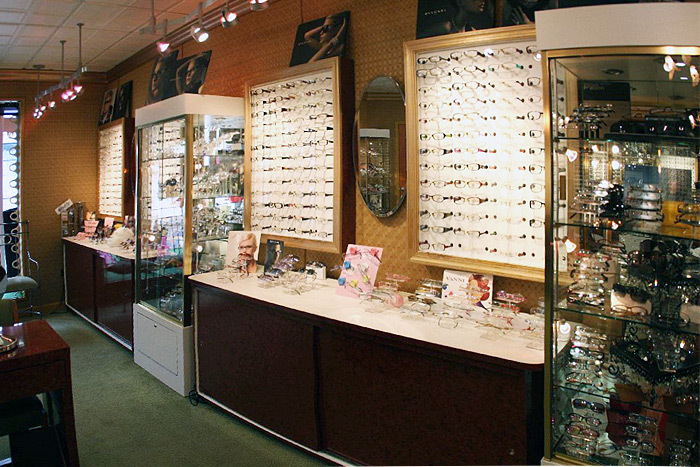 We are a family owned eye care center with over 30 years of experience in the eyewear industry. We specialize in custom rimless eyeglasses and children's eyewear. We are also VARILUX experts. We are committed to ultimate customer satisfaction. We make every effort to ensure that you are satisfied with all of the products and services that we offer. We pride ourselves in offering quality eyewear that will not only enable you to see well, but will make you feel comfortable while wearing your eyeglasses. We sell eyewear to fit every fashion taste and to fit every face. We have an on-site optometrist available at both of our locations for your eye exam needs. Please call the location nearest to you to schedule an appointment. We sell contact lenses and offer free contact lens training with purchase. We also offer a discount for senior citizens!